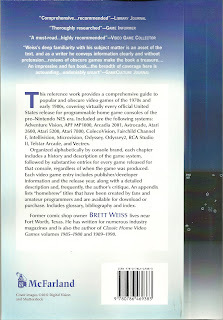 Brett Weiss: Words of Wonder: Classic Home Video Games 1972-1984 - NOW IN PAPERBACK! Classic Home Video Games, 1972-1984 has been released in soft cover for only $25, available for pre-order through Amazon. I got my copy this week, so if you decide to go ahead and order the book, you shouldn't have to wait long to receive it. 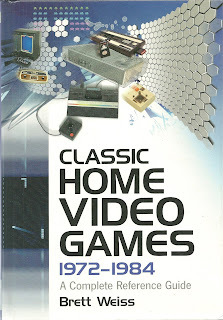 This thoroughly researched reference work provides a comprehensive guide to popular and obscure video games of the 1970s and early 1980s, covering virtually every official United States release for programmable home game consoles of the pre-Nintendo NES era. Included are the following systems: Adventure Vision, APF MP1000, Arcadia 2001, Astrocade, Atari 2600, Atari 5200, Atari 7800, ColecoVision, Fairchild Channel F, Intellivision, Microvision, Odyssey, Odyssey2, RCA Studio II, Telstar Arcade, and Vectrex. 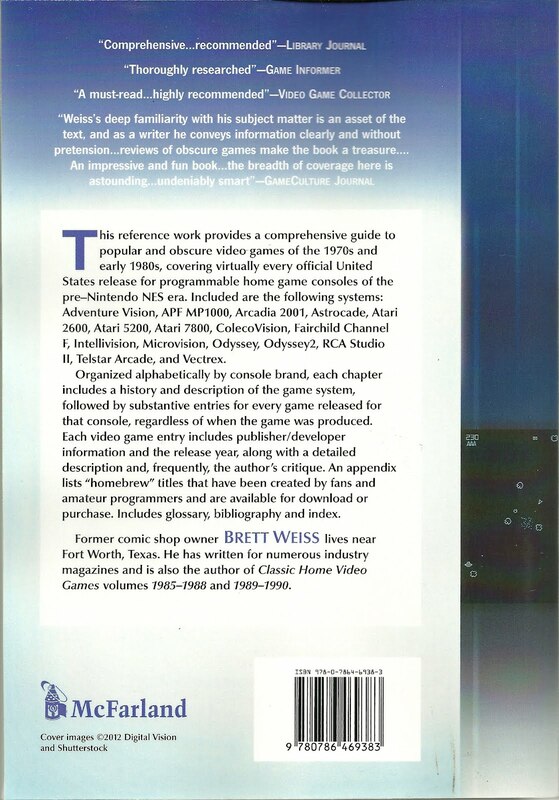 Organized alphabetically by console brand, each chapter includes a history and description of the game system, followed by substantive, encyclopedia-style entries for every game released for that console, regardless of when the game was produced. Each video game entry includes publisher/developer information and the release year, along with a detailed description and, frequently, the author's critique. A glossary provides a helpful guide to the classic video game genres and terms referenced throughout the work. An appendix lists a number of "homebrew" titles that have been created by fans and amateur programmers and are available for download or purchase.